This past weekend was Mother’s Day in the United States and May 9 was also the date when the Fargo Marathon took over our community in Fargo, North Dakota. Because of a change of convention dates, my schedule opened up and Kathy and I were able to help our club–The Fargo Lions Club–staff a water station at Mile 15 of the marathon. 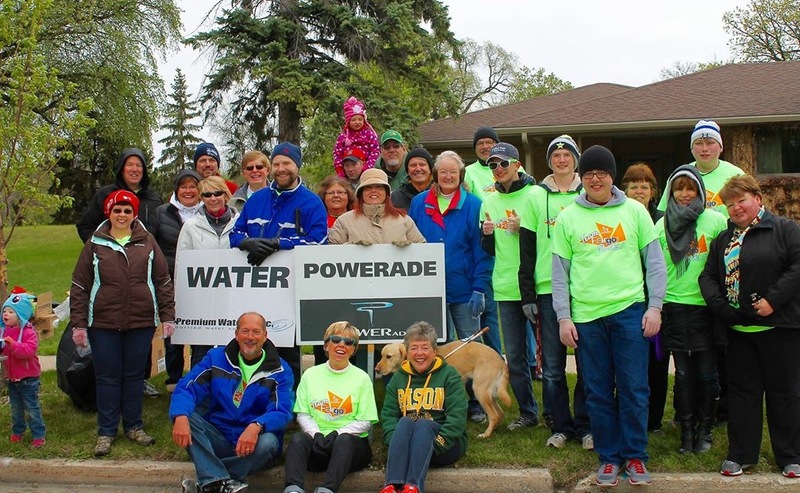 We had a great time and enjoyed handing out water and Powerade to the runners. 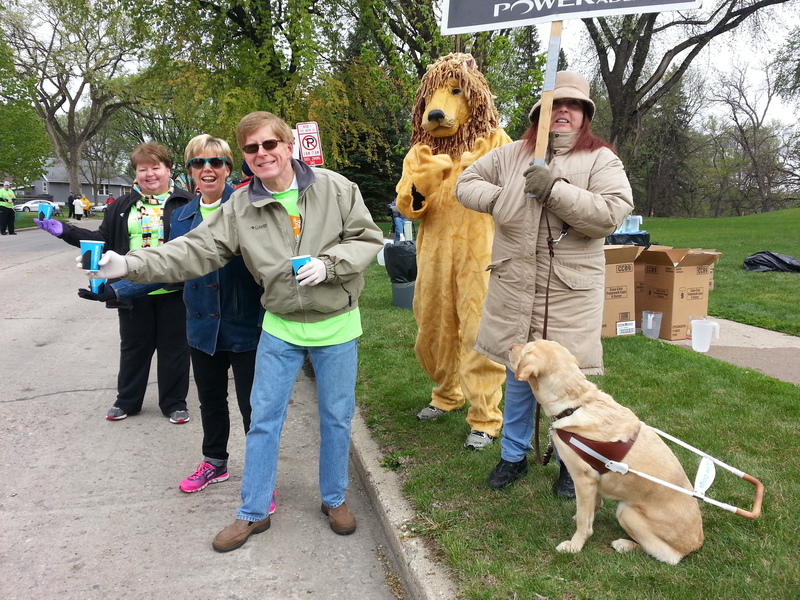 (L to R) Lion Karna Nelson, Lion Kathy Littlefield, ID Robert, our Lion mascot (Lion Blake Strehlow) and Lion Sherri Sherik were all smiles as runners passed by and took on liquids. The Fargo Lions Club is North Dakota’s oldest, but we weren’t too old to be dancing to the music all morning as runners paced themselves for the second half of the course. Fargo Lions are always ready to serve! Being home for the weekend enabled Kathy to spend Mother’s Day enjoying calls from our children, and for me to spend time with my mom, LeVoyne Littlefield, who will be celebrating her 90th birthday in June. With eyes to the weeks that lie ahead before the international convention in Honolulu, best wishes to all who serve and we wish the very best to all who give birth or nurture children. After all, “when it comes to love, ‘Mom’s’ the word” (anonymous). Millie was there, too. Give a dog a break! So happy to see everyone participating. It must have been good to be home. Your heart for service must be full.